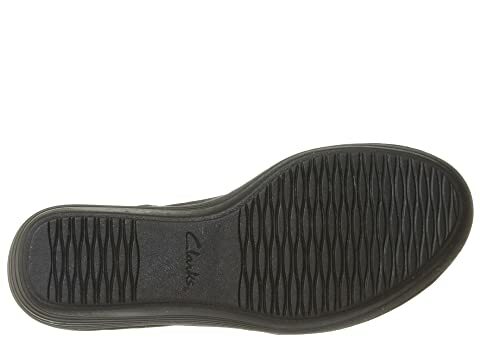 The Reedly Salene is part of the Clarks® Collection. 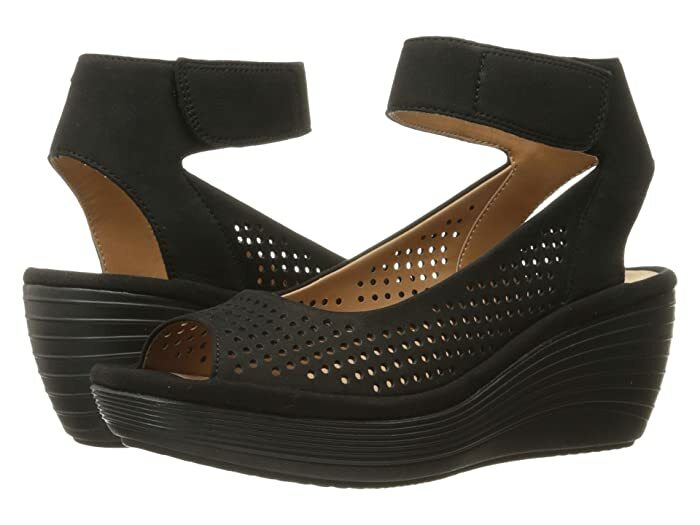 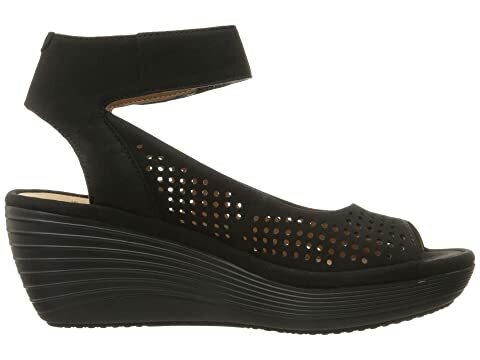 Show off a little edge with your casual look in the Reedly Salene wedge by Clarks. 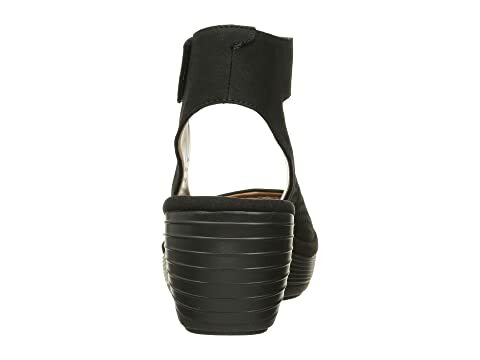 Full grain leather or nubuck upper with perfs for added breathability. 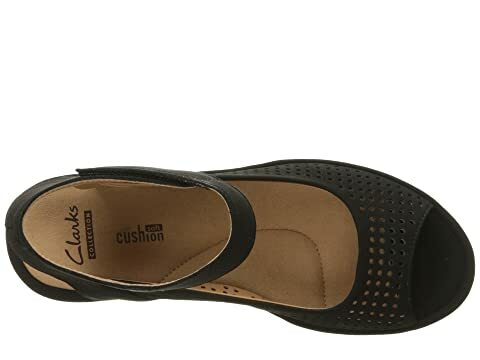 Cushion Soft™ technology with an OrthoLite® footbed ensures greater stability, impact absorption, and lasting comfort.